This has been an interesting duel so far. 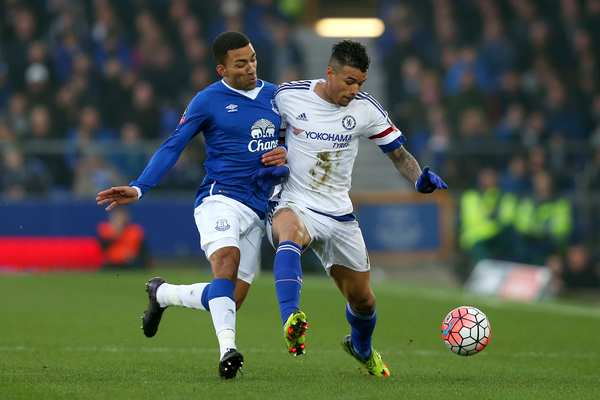 While Kenedy has impressed going forwards, he has struggled to deal with the pace of Lennon - resulting in most of Everton's best chances coming down the left flank. Surreal half-time entertainment. Penalty shoot-out between fans that lasted as long as it took a horse to walk around Goodison Park's pitch. None of Chelsea's last 74 FA Cup games have ended goalless, according to BBC Sport. We expect goals in this second half then! No changes by either manager in this second period. @philmcnulty "A horse?" That wasn't any old horse! That was Amberleigh House, Grand National winner 2003 & Aintree legend. Come on, man! Meanwhile on the pitch, and both sides have started pretty slowly as the crowd are making very little noise. 49 MINS: Everton look slightly apprehensive going forwards at the moment, passing sideways and then back to Robles instead of pushing forwards. Cahill gives away a free kick for a foul from behind on Lukaku, but it comes to nothing. 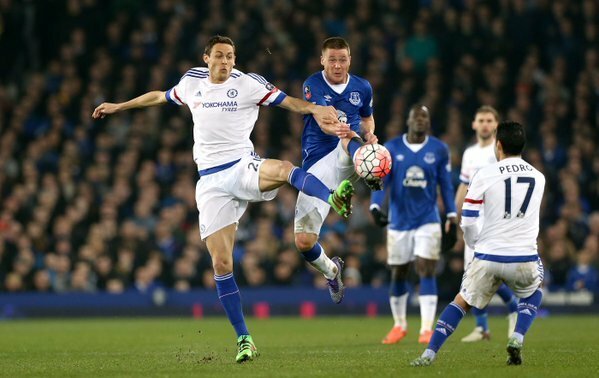 50 MINS: The home side get a corner kick, Cleverley takes it and Funes Mori jumps higher than Ivanovic to head the ball just high. Close! Pedro's ball from the right is palmed away by Robles, but it falls to Cahill who plays the ball back into the area. Fabregas is marked well, though, and can't get contact with it. Meanwhile, Everton break and it sees Cahill make a sliding challenge to deny Lukaku. 53 MINS: That may have been a superb tackle by the Chelsea defender but his next foul gives the home side a free kick. 61 MINS: Coleman is down after a clash of heads with Costa as he superbly cleared the ball. Looks like he's OK. The Chelsea fans are singing 'You'll Never Win the Cup' to the tune of Liverpool's 'You'll Never Walk Alone' anthem at Everton. 63 MINS: Fabregas is booked for a studs-up challenge on Barry. 65 MINS: Yet another challenge in this game - this time, Baines on Azpilicueta. Everton are pressurising Chelsea now and it's resulted in a corner kick for the home side. The Spaniard looked to be in some pain but is up now. The corner is dealt with by Ivanovic who clears the ball, but there looks to be a moment of miscommunication between him and Courtois, who also came out to clear the danger. 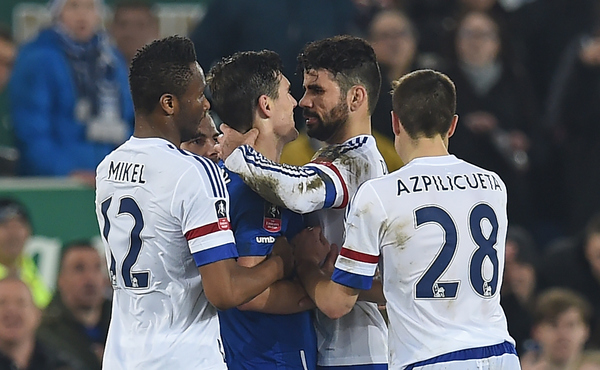 To be fair, Costa could have been past the referee when he spat. We can't tell from that clip but it's something we will keep a close eye on as the match progresses. 73 MINS: Courtois comes out to deal with the onrushing Lukaku and manages to make it and get the ball clear of the Everton striker. 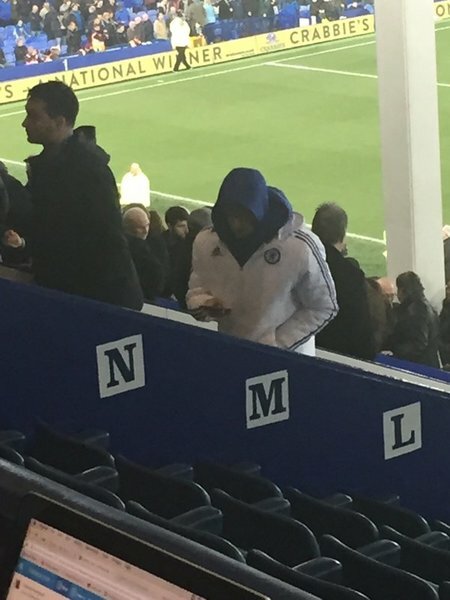 Meanwhile, Hiddink is making his first change as Oscar comes on for Willian. GOAL! What a strike from the fomer Chelsea man! He receives the ball from midfield, makes a fine run to get past Azpilicueta before dancing around Cahill and driving a low shot past Courtois. Everton 1 Chelsea 0! And there is the second for Lukaku! He latches onto the ball and slides an effort through the legs of Courtois to surely seal this tie?! 84 MINS: Costa is off for a second yellow card! Things going from bad to worse for the Chelsea man after he barges Barry, who had just fouled him, and - and we need replays for this - appears to bite the Everton man. So two red cards for both sides now, but it doesn't matter as Everton are going through! So goalscorer and Toffees hero Lukaku goes off for Niasse and, with that, Everton have booked their place in the FA Cup semi-finals at the expense of Chelsea! So Chelsea have now been knocked out of the FA Cup and the Champions League in the space of four days. What a miserable week for a club who won two trophies last season. Questions will be asked of where the club goes from here: a new manager is certainly coming in but what to do with this squad? Chelsea fans will look to the likes of Pedro, Hazard and Oscar and say their performances haven't been good enough this season while Costa, who has been linked with a move away from the club several times, can let his emotions rule him in the most crucial of moments (as shown above). The striker could be in a lot of trouble, though, for that apparent 'bite' on Barry. We'll have to see if any action is taken later. Defensively, too, Chelsea have been poor this season. They've had injuries in that department but haven't recruited adequately enough to have world-class back-ups should one of their first-choice men be sidelined. Terry's return is positive, though, although it doesn't look likely that he'll stay at the club - leaving the team without its most effective leader. We want to hear your views on how many changes this Chelsea side need this summer. Vote in the poll coming up! 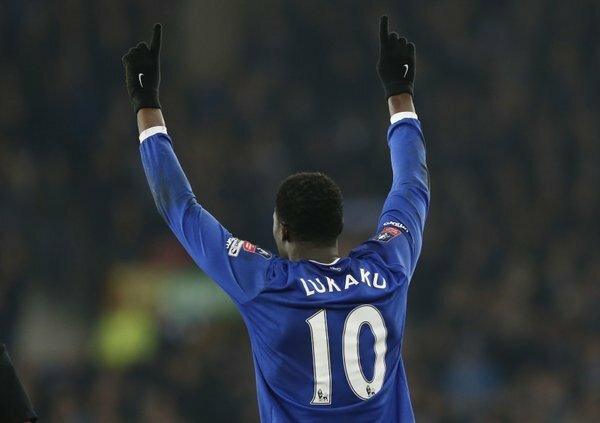 Let's not detract from a wonderful performance from Lukaku, though. As the stat below shows, the striker is on his way to becoming a Premier League great if he can keep up his goalscoring feats! "I don't think I have anything to prove to Chelsea, I went there as an 18-year-old and learnt the trade of being a professional footballer. I will always be grateful to them." We'll have more reaction on our site - with a piece coming soon on Hiddink. Thanks for following our live blog - we hope you enjoyed it and, indeed, the actual match! Good night for now!